2. 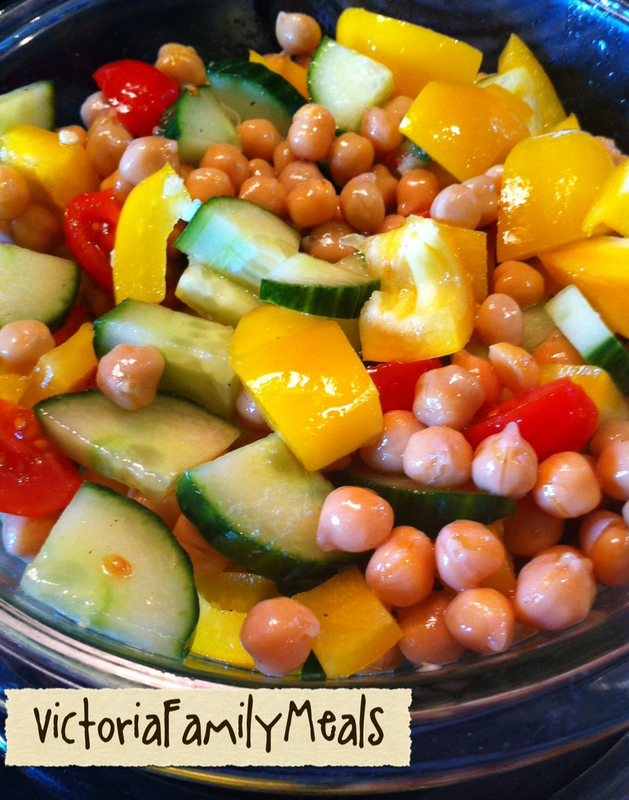 Mix chickpeas, peppers, tomatoes and cucumber with dressing. 3. Let marinade 2-3 hours or overnight.